Sinus infections, the common cold and flu can be prevented by humidifying the air around your home. A humidifier will help you add some moisture in your home. If you find that you suffer from sinus infections, itchy eyes, or dry skin, then it will be ideal to get yourself a humidifier. There are many different types of humidifiers available online, which function differently. Depending on your current situation, you can opt to buy a humidifier that will suit your needs by taking into consideration the following. Warm Mist Humidifiers: These humidifiers work by warming up the water till it gets to boiling point, and then releases the resulting steam into the air. You can add certain medication into the water prior to boiling, and inhale the resulting steam. Caution should be taken with warm mist humidifiers, as pediatricians often warn against using them if you have have little children. The humidifiers should also not be placed near flammable items are even on top of carpets and upholstery surfaces. Cool Mist Humidifiers: These humidifiers use cool or cold water to moisten the air in your home. There are three types of cool mist humidifiers: Ultrasonic, Impeller and evaporative. These work in different ways to release the cool mist into the air. The size of the humidifier will often tell whether it will humidify a wide area or a small area within your home. Often, the manufacturer will state the square footage the humidifier will cover. It is always recommended to go for a humidifier that is large in size and that covers a much larger area than what your home or rooms occupy. Decide on the number of rooms or space you wish to humidify and go for a humidifier that will suit your needs. Check the best humidifiers reviews for babies room on The Soothing Air. Humidifiers will come with a number of features that can make them very useful or bothersome. Some of these features include a humidistat feature that allows the humidifier to shut down when the set humidity levels have been reached. Other useful features also include a timer. You can set the time at which you wish to have the humidifier turn on. When buying a humidifier, look out for features that will be convenient for your use. This is a very important feature of a humidifier. Since it is very likely that some microbes can live and grow in stagnant water, the risks of these microbes getting released into the air through the humidifier are high. You will thus get other infections from using a humidifier. 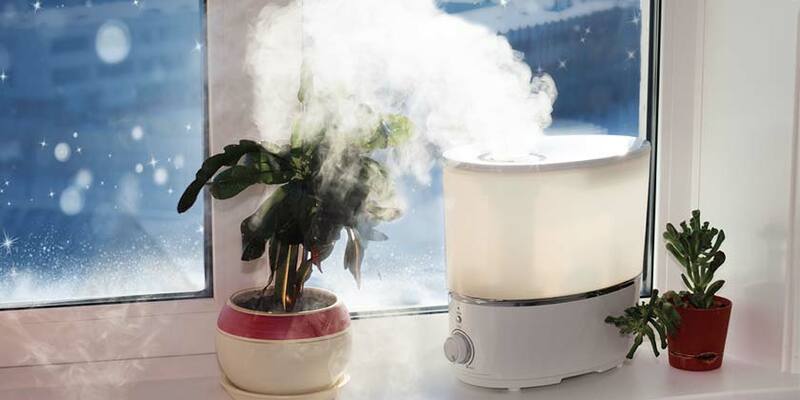 There are some humidifiers that require you to clean them every single day, which can be a pain to some people. Other humidifiers will also come with filters that will need to be cleaned and changed every few weeks. This adds to the maintenance costs. Be sure to buy a humidifier that will be easy to clean and that will not cost you much in terms of maintenance. Humidifiers have different modes of operation. Some have fans that make quite a racket when operating. Others will have different modes of operation, but that will also still produce some noise. The level of noise that you can bear should help you determine the type of humidifier to buy. Large humidifiers tend to be expensive, while smaller humidifiers tend to be cheap. The cost of the humidifier will vary anywhere from $75 to $500. The budget you have set aside for the humidifier will therefore determine the type of humidifier you will get. While keeping cost in mind, check that you are getting a high quality humidifier that suits the cost.